In the almost 40 years since Perception and Misperception, was published, there has been an enormous amount of relevant research in psychology and political psychology. While I think little of it contradicts what I said, it does move in directions that I didn’t explore or that I implied were dead ends. The most important, I believe, concerns the role–or rather the roles–of emotion. First of all, it is clear that the previous habit of contrasting emotion to reason (and exalting the latter) is badly misleading. It is also clear that perceptions can be driven by psychological needs, and what are called « motivated biases » can be very powerful. Indeed I think it is fair to say that psychological and political needs share pride of place with expectations as the prime determinants of perceptions in the political realm (see my « Understanding Beliefs » in the journal Political Psychology). Another important development is Prospect Theory, which argues that people are much more risk-acceptant when they are in the realm of losses than they are when they are in the realm of gains, something that may be a part of human nature, as I argued in another Political Psychology article. This means that wars are particularly likely when both sides believe they are in the realm of losses, a danger compounded by the difficulty of understanding that the adversary feels it is in this situation. Work on the biological roots of perception and behavior in the forms of genetics and the neurobiology of the brain hold promise, but also are in the early stages of development and some skepticism is in order. For many years, much work in IR and other fields was based on a rational choice theory of reputation. Indeed, this was the approach I used in my first book, The Logic of Images in International Relations. 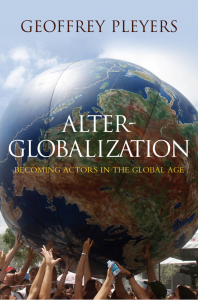 The books by John Mercer and Daryl Press have cast this into doubt, although Gregory Miller’s recent book reasserts the older view with better research. The topic is without doubt extremely important and deserves deeper conceptualization and research. But I think it is clear that there is much to the point made by Snyder and Diesing 40 years ago–leaders are very concerned about their own reputations but pay much less attention to those of others. Contrary to the American preoccupation (shared with other countries? ), backing down in one instance does not automatically lead to a reputation for being weak or irresolute. La Chute du Mur a laissé le système international sans nom : en le tenant pour « post-bipolaire », on parle de son passé , alors qu’on hésite entre l’idée d’ « unipolarité » , battue en brèche par l’impuissance américaine, et celle de « multipolarité » qui s’accorde mal à la faible attractivité des puissances moyennes…Derrières ces imprécisions, se dissimule une continuité profonde : l’entêtement oligarchique de la communauté des Etats, amorcée dès 1815 par une diplomatie de concerts qui n’a jamais disparue, même si elle a fait alterner moments de force et périodes d’infortune…On la retrouve aujourd’hui à travers le G8, puis le G20 qu’on nous présente médiatiquement comme les nouveaux directoires du monde, alors qu’ils collectionnent les blocages et renouvellent leur impuissance. 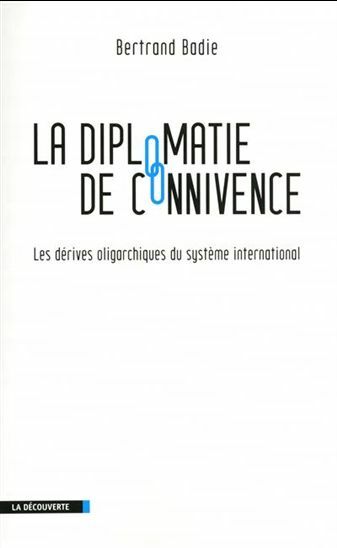 Sa persistance révèle la manière dont la diplomatie de connivence est, depuis longtemps et sous des formes diverses, au centre du jeu international : limitée dans ses performances, défensive de ses privilèges, intermédiaire entre la compétition et la coopération, elle est surtout excluante dans ses pratiques. En soulevant des formes diverses de contestation, elle brouille le jeu international au lieu de l’ordonner. 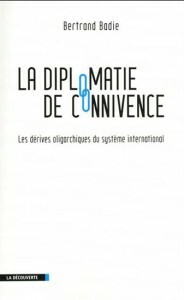 Phénix médiocre qui renait toujours de ses cendres, la diplomatie de connivence est examinée ici dans son histoire, ses fonctions, et ses échecs. Bonne manière d’explorer aussi la notion obscure de système international.